On Friday 13 October, the last day of my writing residency at Fellowship of Australian Writers WA, I joined presenter James Hall on Artbeat, the weekly arts programme on Perth’s RTRFM, to talk about how my month as Established Writer-in-residence has gone. This was a follow-up to my interview with James a month earlier, at the beginning of my residency. 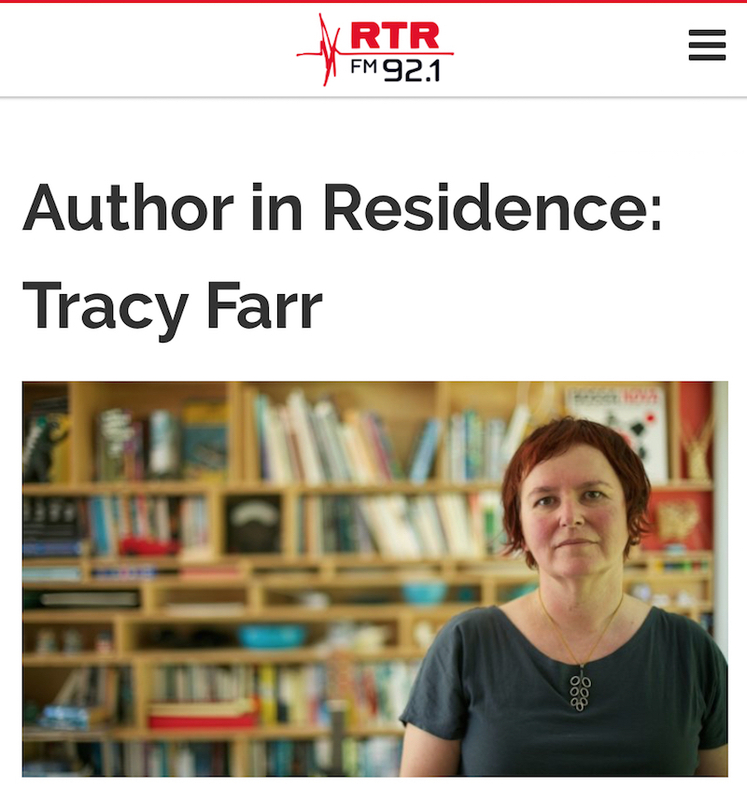 Listen to the interview (‘Author in Residence: Tracy Farr’, 13 October 2017) online. RTRFM, if you don’t know it, is ‘an independent, non-profit community radio station that provides an alternative voice for Perth through innovative music and talks programming. RTRFM provides a platform for local news and issues’. Their name, RTRFM, is ‘a play on “aRTy Radio”, and signifies the station’s strong focus on local arts, music and culture’. In 2017 they’re celebrating 40 years since they first hit the airwaves, Perth’s first FM radio station. I recall doing an interview in the UWA studio, promoting a student play in the late ’80s, back when they operated as 6UVS. Support from listener subscriptions is a vital component in keeping RTRFM on the air – take a look at subscription options (and their cool merch).